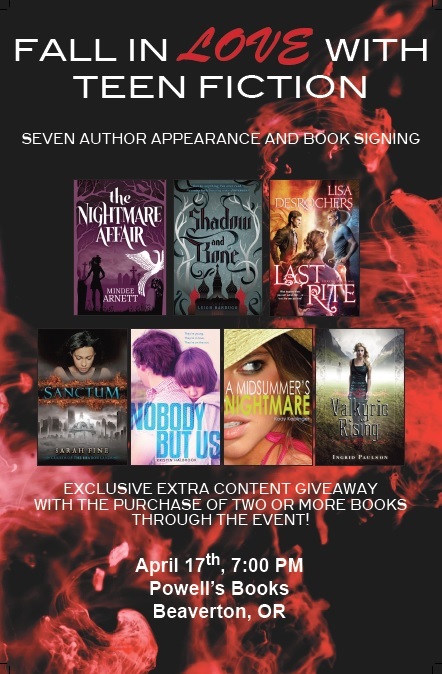 Lisa D. Writes: Final EPIC AUTHOR EVENT Giveaway! Here it is, the last weekly EPIC AUTHOR EVENT giveaway. If you're in the Portland area, don't forget to come out and see us next Wednesday, April 17 at 7pm at Powell's in Beaverton. So, the contest! One lucky winner will receive their choice of any one signed book by any of these fabulous authors, as usual, but as a bonus I'm giving away a copy of the EXCLUSIVE CONTENT BOOKLET. So, to enter, fill out the form below by Friday, April 12th at noon PST. 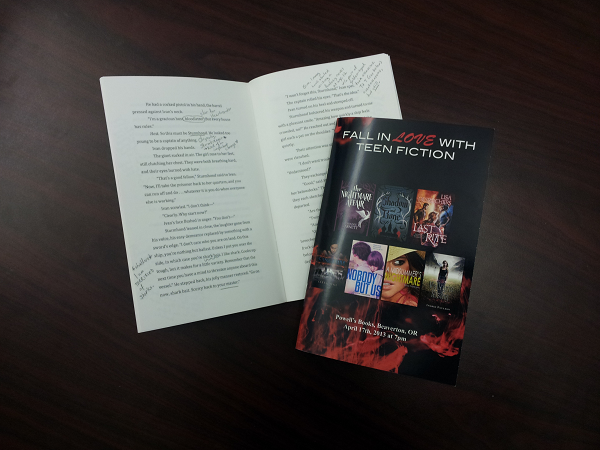 All weekly entries will be thrown in the pot for the GRAND PRIZE drawing on April 19th for a set of seven signed books! You receive bonus entries for posting links to this contest on Twitter and Facebook, and also for answering the following question in comments below. What book(s) have you read in the last year that you couldn't put down? Daughter of Smoke & Bone by Laini Taylor, Grave Mercy by Robin LaFevers, and...Shatter Me by Tahereh Mafi. Legacy and Allegiance by Cayla Kluver! I'm currently waiting for the 3rd installment to come in for me! I have read a lot of books in the last year that I couldn't put down. Tiger Lily, Through The Ever Night, Shadow and Bone, Venom and Belladonna, Star Cursed. These are just the ones at the top of my head. NOBODY BUT US!! Wanna start reading right now! Have to go with the Book Zorro. I know older book. Still very good read.